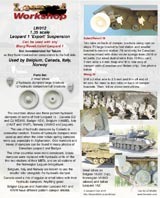 Not recommended for Takom as they have moulded-on components on the hull side. 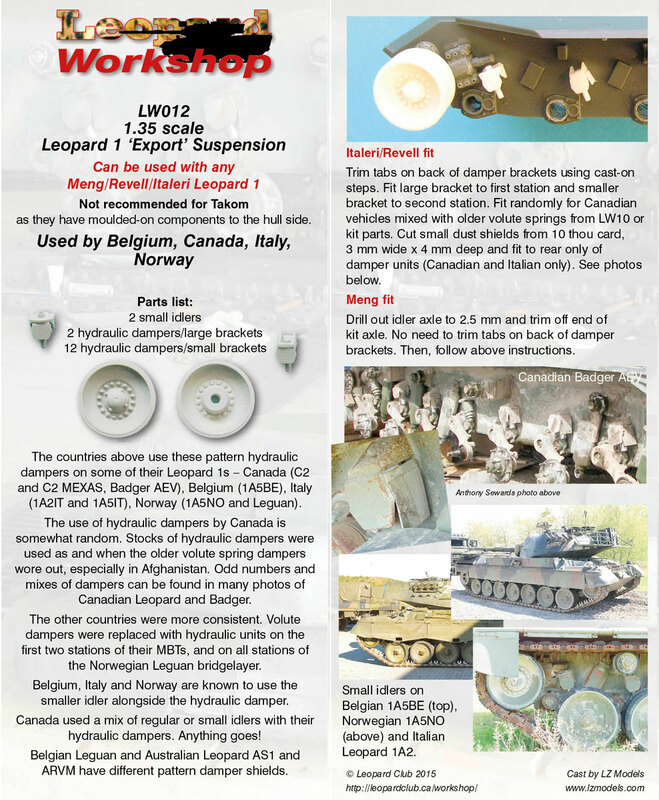 The countries above use these pattern hydraulic dampers on some of their Leopard 1s ~ Canada (C2 and C2 MEXAS, Badger AEV), Belgium (1A5BE), Italy (1A2IT and 1A5IT), Norway (1A5NO and Leguan). The use of hydraulic dampers by Canada is somewhat random. 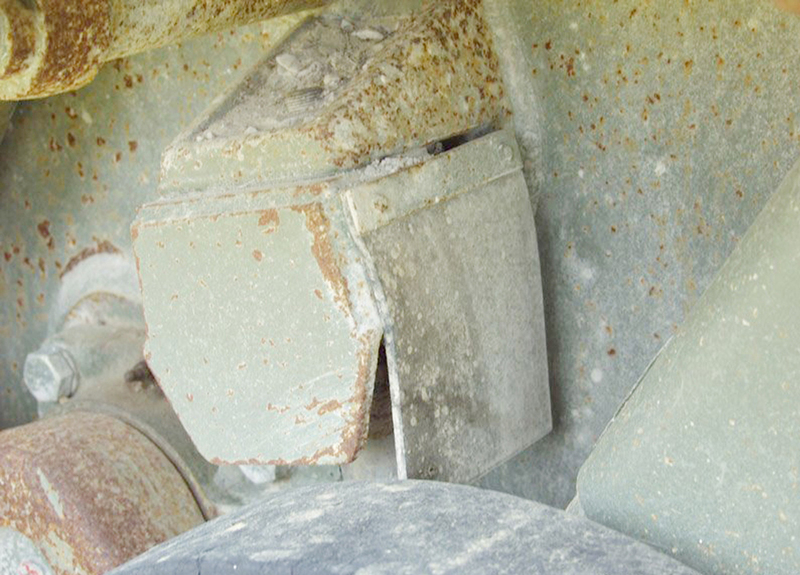 Stocks of hydraulic dampers were used as and when the older volute spring dampers wore out, especially in Afghanistan. 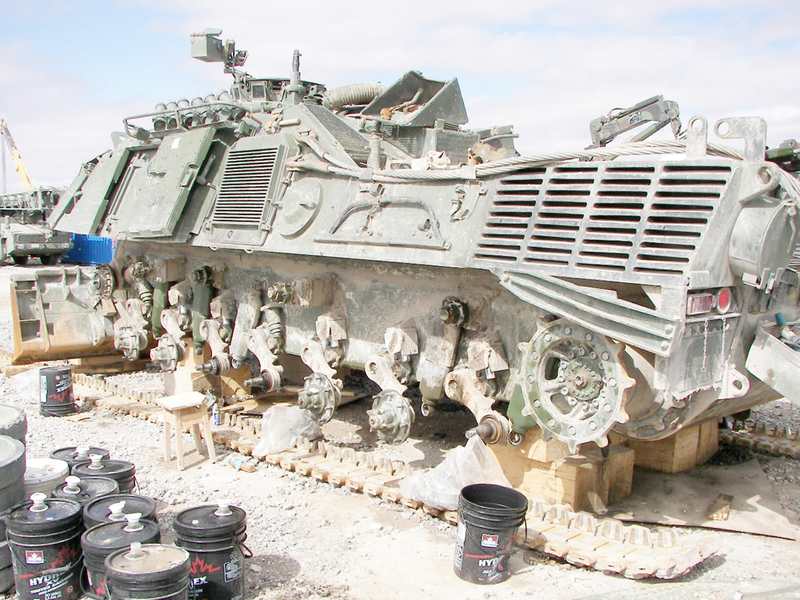 Odd numbers and mixes of dampers can be found in many photos of Canadian Leopard and Badger. The other countries were more consistent. 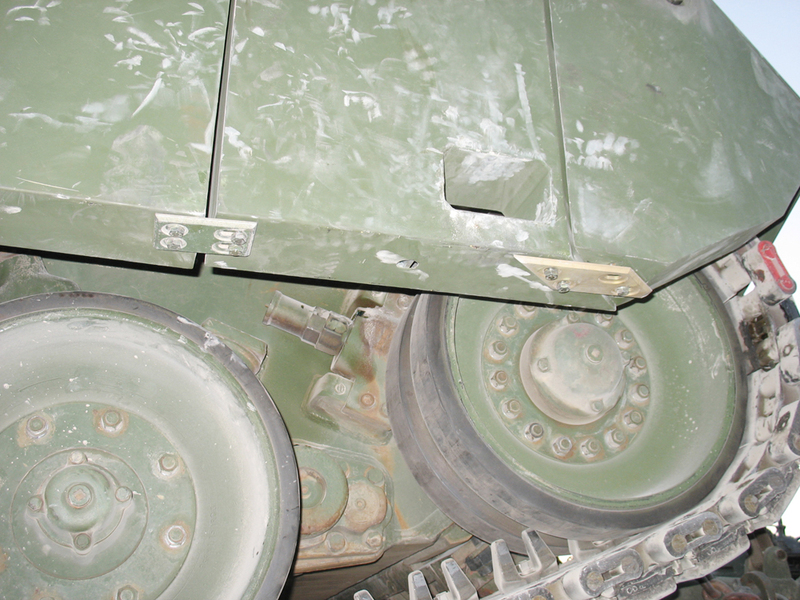 Volute dampers were replaced with hydraulic units on the first two stations of their MBTs, and on all stations of the Norwegian Leguan bridgelayer. Belgium, Italy and Norway are known to use the smaller idler alongside the hydraulic damper. 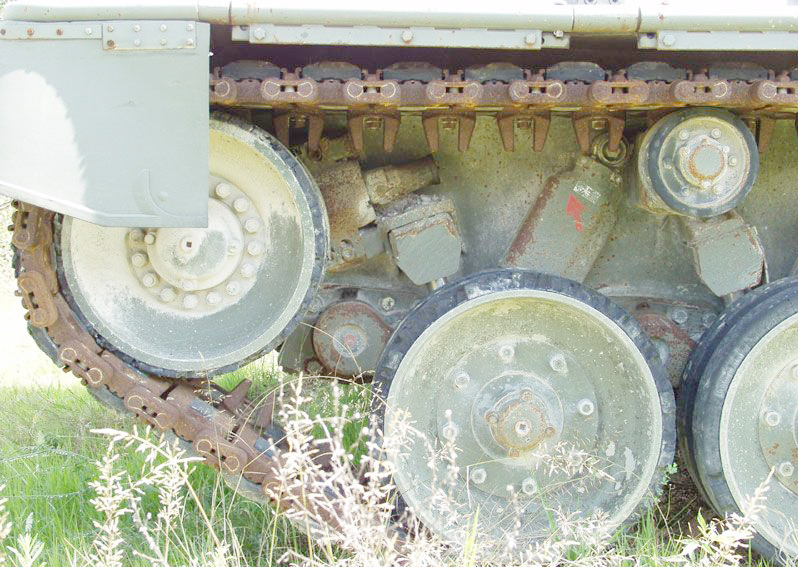 Canada used a mix of regular or small idlers with their hydraulic dampers. Anything goes! Belgian Leguan and Australian Leopard AS1 and ARVM have different pattern damper shields (Aussie dampers available from Mouse House). Label and instruction photos as used below, Anthony Sewards. Trim tabs on back of damper brackets using cast-on steps. Fit large bracket to first station and smaller bracket to second station. 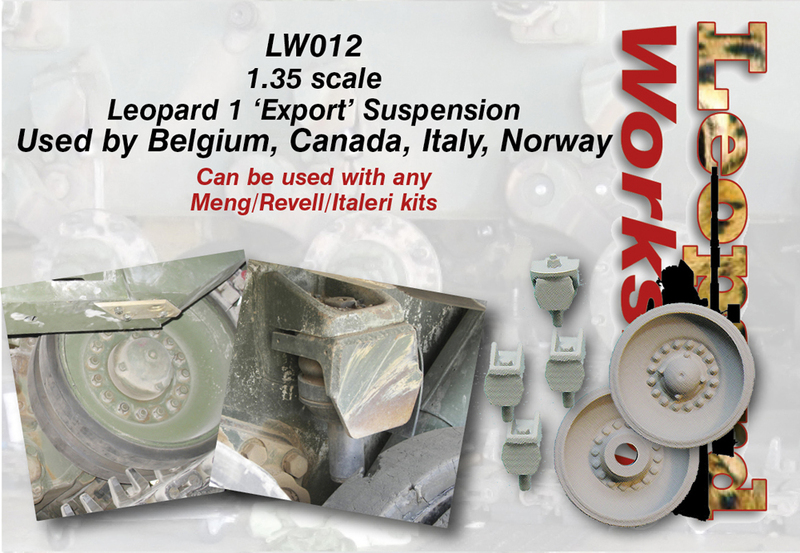 Fit randomly for Canadian vehicles mixed with older volute springs from LW10 or kit parts. Cut small dust shields from 10 thou card, 3 mm wide x 4 mm deep and fit to rear only of damper units (Canadian and Italian only). See photos. Drill out idler axle to 2.5 mm and trim off end of kit axle. No need to trim tabs on back of damper brackets. Then, follow above instructions. 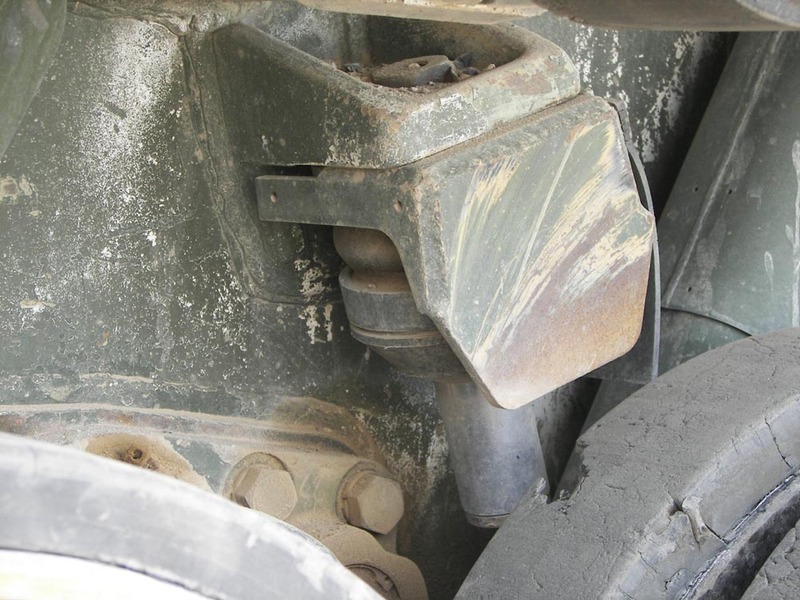 Above - Small idler and hydraulic dampers on an Italian Leopard 1A2IT. Note the dust shield on the rear side which you will need to cut from plastic card.